Finding a cure for Alzheimer’s disease is the challenge of our time. UT Southwestern Medical Center’s memory disorder specialists are leading the search for new therapies while delivering the best in compassionate care to patients with Alzheimer’s disease and other memory disorders. Our services also extend to patients’ families and caregivers, providing education and support at every stage of their journey. Dr. Dewayne Nash has a strong family history of Alzheimer's disease and he's always known that it could be in his future. So, he decided to volunteer for a study at UT Southwestern's Alzheimer's Disease Center where he could contribute to research efforts and be monitored for signs of cognitive impairment. His decision to volunteer changed his life and set him on a new course. Here is his story. Alzheimer’s disease is a degenerative brain disorder that impacts the way the brain stores and retrieves memories. Four percent of people have the disease at age 75, but by age 85, the average climbs to 50 percent – and even higher if there is a family history. There is no cure for Alzheimer’s, but specialized treatments can improve the outlook for patients suffering from this disorder and other types of dementia or memory loss. UT Southwestern is at the forefront of Alzheimer’s disease research. Our Alzheimer’s Disease Center is one of only 29 institutions nationwide funded by the National Institute on Aging to evaluate patients and conduct scientific research on the causes of Alzheimer's disease. In addition, UT Southwestern’s Center for Alzheimer’s and Neurodegenerative Diseases, led by Marc Diamond, M.D., uses a multidisciplinary approach to speed the development of effective treatment for neurodegenerative diseases. Our care staff includes neurologists who specialize in behavioral neurology and neuropsychiatry, an advanced practice professional (APP), a neuropsychologist, and a psychometrist. 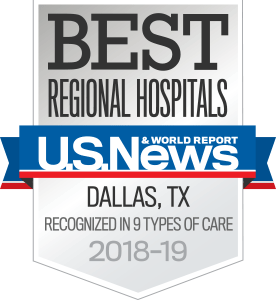 Patients at UT Southwestern receive thorough diagnostic evaluations to identify and classify any existing cognitive or memory problems or disorders. Our team works to provide patients and their caregivers with the latest in medical therapy, nutrition, and ongoing brain scans and monitoring of symptoms to help patients and their families make decisions about upcoming health care and lifestyle concerns, such as when to stop driving and when to consider full-time care. The Alzheimer’s Disease Center holds a monthly caregiver support group to help the families of our patients, as well as numerous outreach activities such as community seminars and conferences relating to brain health, Alzheimer’s disease, and research. Groundbreaking research at UT Southwestern has made important strides in understanding diseases of memory and cognition, and it provides new hope for future treatments. We invite our patients and their families to be part of that progress by participating in clinical trials at UT Southwestern’s Alzheimer’s Disease Center. 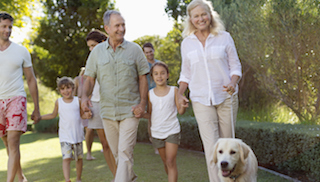 Search for opportunities to participate in a senior health research study. UT Southwestern offers a Research Registry Program for people who want to be contacted regarding possible study participation. Find caregiver groups and other resources to help patients with Alzheimer’s disease.